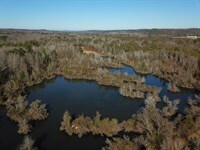 167 acres +/- of land for sale near the Jones community in Autauga County, Alabama. 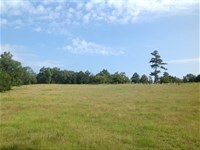 This can be a good recreational and hunting property; and it already has 5-6 food plots throughout the property. There is access on the west side from Autauga County Road 93 and from the east side on Autagua County Road 5. There is an old home on the property, but it is pretty far gone. Power is available to the home site. 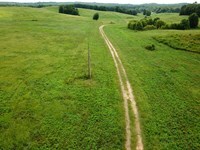 A good internal trail system leads throughout the property. A small stream runs through the middle of the tract. The roads and fields need some bushogging to open them up, and this place would be a good all around hunting tract. 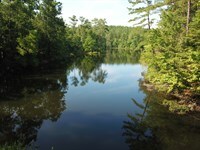 There are approximately 20 acres of older pines in several different locations around the property. The majority of the timber is approximately 7-10 year old natural regeneration that provides thick cover for the wildlife. There is a streamside management zone (SMZ) that runs along the small creek in the middle. 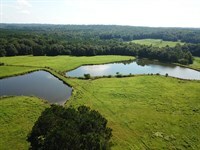 The habitat is diverse enough to hold deer and offer some good opportunities to enjoy being afield. 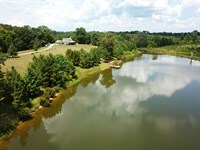 The property is located 43 miles west of Montgomery, 80 miles to Birmingham, 29 miles to Clanton, 22 miles from Selma, and 29 miles from Prattville. Showings of the property are strictly by appointment only please. 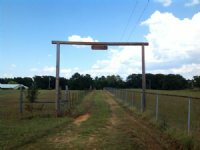 The property is behind locked gates. 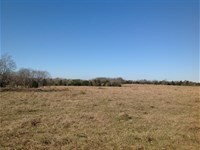 Please contact Jonathan Goode or WIlliam Lyon to schedule a time to visit this property. 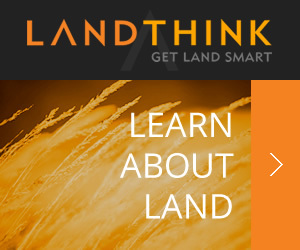 When calling agent, please say, "I found your listing 167 Acres Hunting Property on LANDFLIP."